The Online Tournaments run each month in the build up to the Grand Final at the end of August at insomnia49. At the end of the insomnia49 FIFA 13 tournament, points earned from insomnia48, EGL9, EGL10, insomnia49 and the Online Tournaments will provide us our Top 8 players in the FMS League. These 8 will play off at insomnia49 in the FMS Grand Final for the title of FMS Champion 2013! As last time we also to ran a Live Show during the tournament to provide a different aspect for the players and viewers. We streamed the whole tournament live on Twitch TV with live games streamed plus player interviews and plenty of banter from the Show Team of the Back of the Net Podcast Crew including Daniel “WelshDragonDsG” Griffiths, Adam “IrishWelshCelt Ladd, Dave “SamBookaMan “Raybould and my good self, with the Tournament Admins of the Morrison Brothers, Nidge and Aubs playing a massive part in the background ensuring the tournament ran smoothly. We were delighted to have on offer the FMS Points to the Top 32 players plus the Winner would earn themselves a TUP ticket to insomnia49 courtesy of Multiplay (worth £55) and a Tritton AX180 Universal Gaming Headset (Red) courtesy of a Mad Catz (worth £70). You can check out the full Tournament Bracket for all the matches and results by clicking on image below. It felt amazing. After being quiet during the last few months, to come and win a tournament with Alot of good players in, is a BIG confidence boost! Massive congratulations to Sean for his deserved victory and thanks to all the players for taking part and making our FMS drean a reality. Thank you also to our Live Show Team with Daniel “WelshDragonDsG” Griffiths joining myself plus our Tournament Admins of the Morrison Brothers, Nidge and Aubs for making the night run so smoothly. Finally, a massive thank you to our tournament sponsors Multiplay and Mad Catz. I think the FMS is a great Idea. Brings something new to the scene and gives competitors something to aim for. Every FIFA Masters Series qualifying tournament provides points towards the FIFA Masters Series League based on the players finishing position (based on the Formula 1 Grand Prix points system with points doubled for offline events). 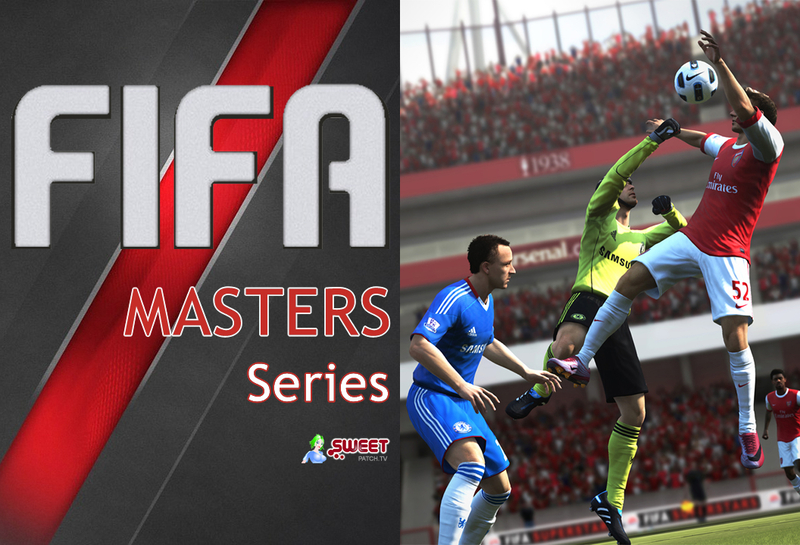 Check out the Points earned at this tournament and the latest FIFA Masters Series League Table. Please get involved with our next Online Tournament in August (date to be confirmed) and help build the FIFA Masters Series to be a massive success for the benefit of the competitive FIFA community.